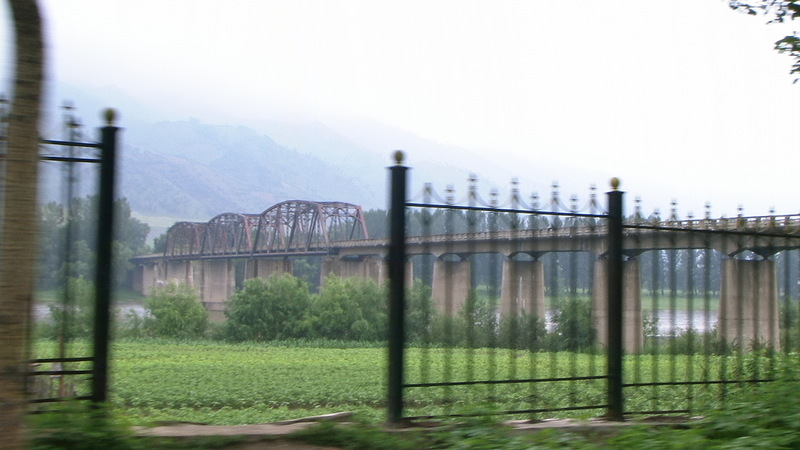 In tacking along the North Korean border with Liaoning province for most of the day, it occurred to me that construction of barriers is simply part of life. One has to seal off memory in order to act, for instance. Thus the danger of wallowing in history of any sort. Weighing, judging, understanding, and forgetting are of a piece. Perhaps it isn’t a bad thing than an old man in Dandong, born in 1933 and tickled to be meeting an American, misses completely the point of a question about what he was doing during the Chinese civil war and the period of Japanese occupation. (Although perhaps it is not so good that he instead praises the U.S. for dropping the bomb on Hiroshima, which is how more than a few [occasionally inebriated] Chinese folks who were just making my acquaintance ingratiated themselves.) Who needs to remember that dreadful procession of Japanese, Chinese puppet, and Soviet troops, anyway, capped off by a few swings of North Korean dissidents on the run from Sinuiju and finally the People’s Liberation Army, a civil war, and then war in Korea? 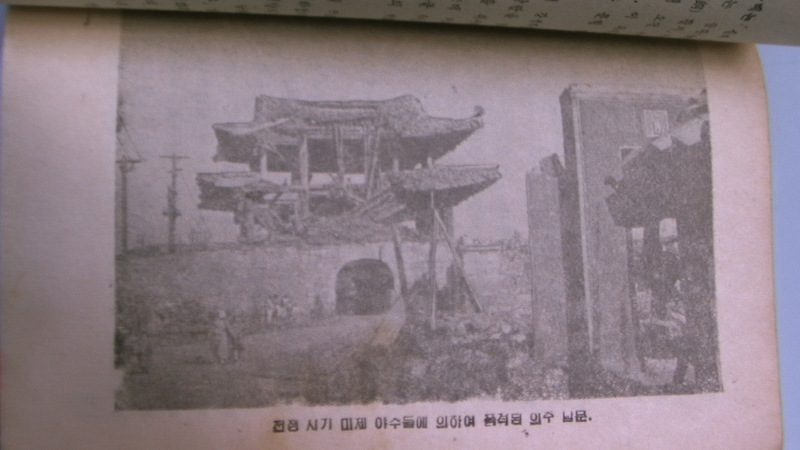 Do I really want to peel away at this man’s memory and think upon the inferno of the American firebombing of Sinuiju in 1950, the bombing of that blackened bridge? Maybe there is a good reason that tens of books have been written about the bombings of Dresden and Tokyo (and of course Hiroshima/Nagasaki), and that not one has been focused purely on the bombing of civilians in North Korea. Memory stalks quietly through the gaps in walls, however, and lurks beyond the field of vision. It returns at times of great success and makes its heaviness known at moments of incipient failure. The inability to escape past versions of oneself, to uproot the downward channels of habit, to break out of military encirclements prepared assiduously by one’s own host of errors, presupposes that memory plays a negative role. Imagining a new self, a new situation, a new relationship of humans or nations is fully necessary. At times that act of imagining should be fully untethered from the naysaying reality, while at others, reference to some foundations of the past may be made. Stand on foundations of old, in other words, to more properly hammer at them. And then to say “whatever, find another way,” and then find the other way, and be expressive in doing so, and write about something meaningful. Like the mess that is North Korea.